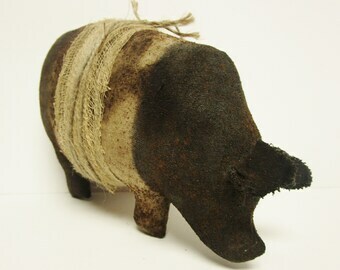 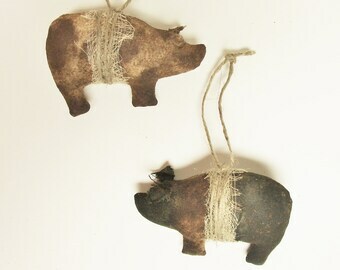 Adorable little Primitive Pigs Ornament Set of 3 is great for home decorating! 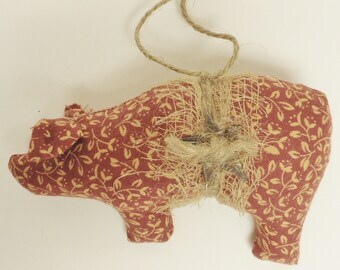 Hang these cute Pig Ornaments from a peg shelf, cupboard knob or just about any place! 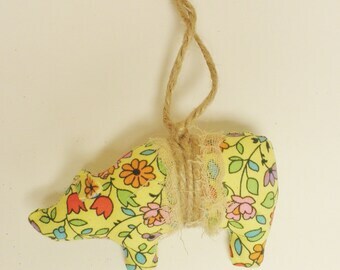 Each handmade Pig is crafted from painted, stained, cinnamon dusted muslin fabric then wrapped in stained cheesecloth and jute twine with a loop to hang. 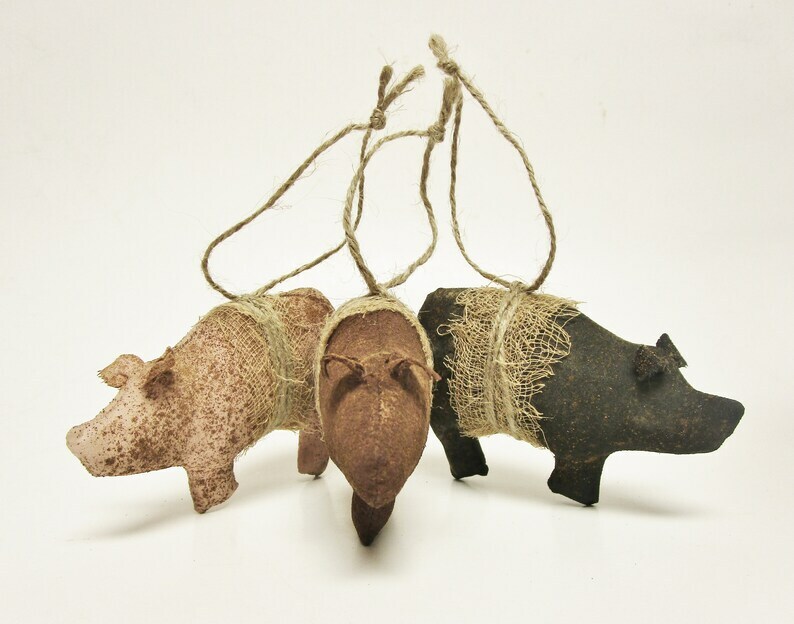 Set of Three small Pigs includes one each of Pink, Brown and Black. 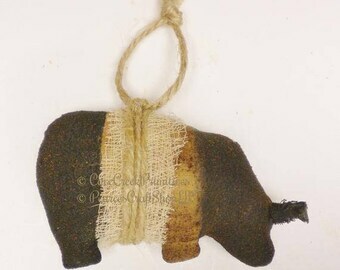 Measures Approximately 4" W x 2 1/2" H. Intended for Decorative Use. 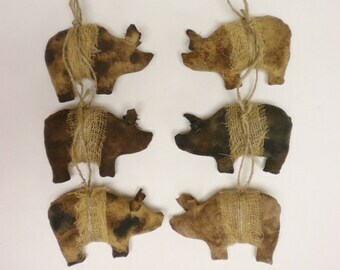 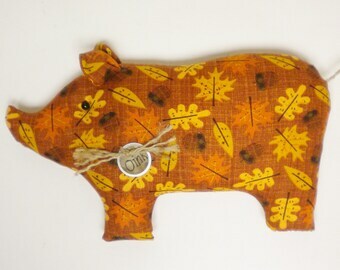 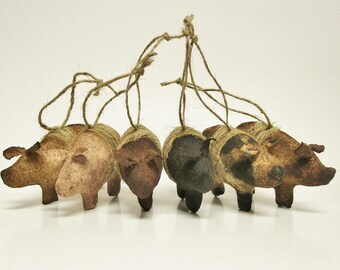 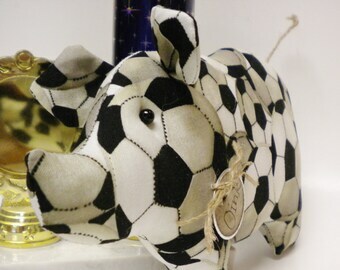 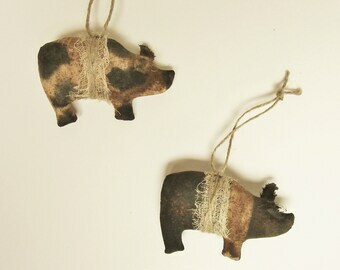 These sweet Pig Ornaments are nice for seasonal, holiday or everyday decorating or gift-giving!